8 Questions with Tomokazu Harimoto! It's time for another player to feature in our 8 Questions series ahead of the Liebherr 2019 ITTF World Table Tennis Championships - step forward Tomokazu Harimoto. Ranked fourth in the world at just 15 years of age Tomokazu Harimoto is arguably the sport’s most exciting young prospect at this moment in time and there’s even the possibility that the Japanese star could well go on to collect the ultimate of titles later this month. 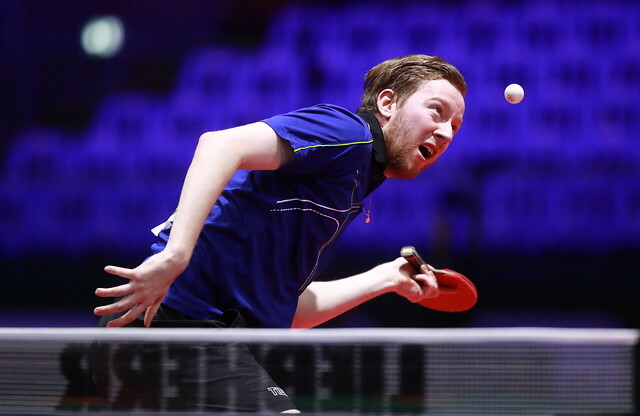 The stats are highly impressive: the youngest-ever winner of an ITTF World Tour Men’s Singles title, the youngest-ever Japanese National Men’s Singles champion and more recently the youngest player to lift the Men’s Singles trophy at the ITTF World Tour Grand Finals – will Harimoto set another record in his pursuit of becoming the youngest-ever Men’s Singles champion in the history of the World Championships? Q) Why did you take up table tennis? A) I was influenced by my parents, they are both table tennis players. Q) What is your favourite tournament success to date? A) The most memorable match for me was at the 2018 Japan Open where I beat Ma Long. My most memorable tournament success is becoming the 2018 Grand Finals champion. Q) Do you have a favourite food, drink, music and movie? A) Food: Barbeque, especially pork. Drink: Coca-Cola, Music: A band called sumika and one of their tracks called “Lovers”, Movie: I like all “Conan” (Anime) series. Q) What do you know about the Hungarians? A) I think the Hungarian people are very kind. Q) Do you have any hobbies? A) Karaoke, I simply like singing and also it is good for relieving stress. Q) What is your favourite place in the whole world and why? A) Japan, I believe the food is the most delicious and the environment is very clean. Most of all, it is where I have grown up. Q) Who is your favourite athlete? Q) What are your goals for the future? A) I will do my best to become World no.1, World champion, and Olympic champion. I hope table tennis fans support me on my path towards these aims.